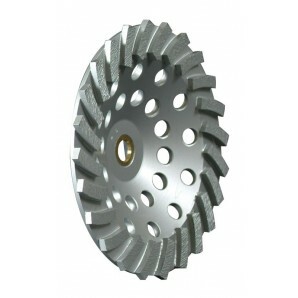 4.5" Standard Turbo Cup Wheel, 9 segments 5/8-11, brazed, venting holes with nut. 4.5 inch Standard Turbo Diamond Cup Wheel for cutting and grinding concrete and field stones. 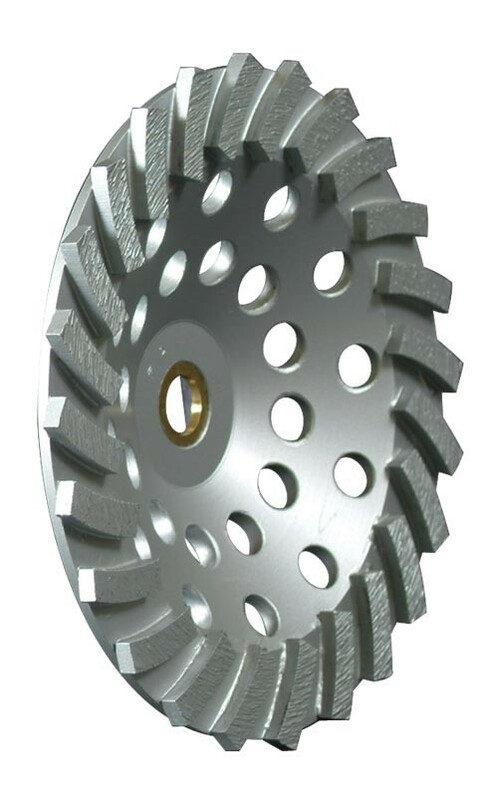 Wet or dry use with angle grinders and floor grinding machines.